This Advanced Level III course is an advanced course intended for the actor who is already working in the industry and is fully committed to taking their acting to the next level. Instructor Chilton Crane has helped hundreds of new and working actors develop their work to professional standards and stretch their range. Challenging scenes from modern scripts are assigned. On-set focus, etiquette, and work habits are expected. Students can enroll in this 4 week class as often as they like. All work is recorded, viewed, and critiqued. In the event that VanArts cancels a part-time program, all registrants for that program will receive a full refund. VanArts may cancel a part-time program if enrolments do not reach our minimum capacities. There is a non-refundable cancellation fee of 20% of the part-time program tuition. Refunds of the full program tuition, less the 20% cancellation fee, will be granted up to seven calendar days before the start date of the part-time program. No refunds will be granted less than seven days before the start date of the part-time program. Chilton Crane, Head of VanArts’ Acting Department, has been a professional actor for over 20 years, with many lead, recurring and guest star credits including X-Files, Supernatural, Outer Limits, L Word, Cold Squad, Beggars and Choosers, and many other series and feature films. She has directed for both film and stage, very passionate about acting and teaching, and has always been lucky enough to find a balance of both crafts. Audits of current running courses always welcome. Contact us for arrangement. 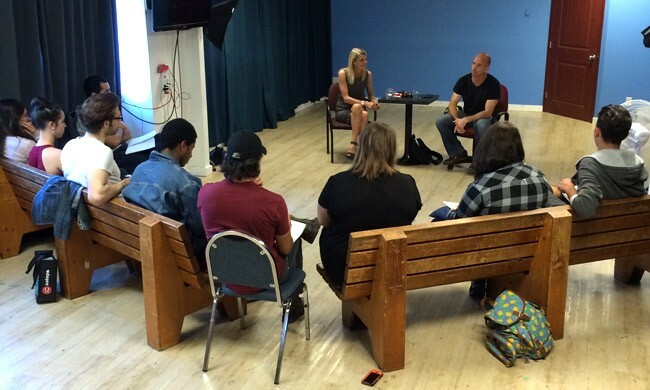 Interested in Acting for Film & TV - Level III?